For other uses, see Project Gutenberg (disambiguation). Project Gutenberg (PG) is a volunteer effort to digitize and archive cultural works, to "encourage the creation and distribution of eBooks". It was founded in 1971 by American writer Michael S. Hart and is the oldest digital library. Most of the items in its collection are the full texts of public domain books. The project tries to make these as free as possible, in long-lasting, open formats that can be used on almost any computer. As of 23 June 2018[update], Project Gutenberg reached 57,000 items in its collection of free eBooks. The releases are available in plain text but, wherever possible, other formats are included, such as HTML, PDF, EPUB, MOBI, and Plucker. Most releases are in the English language, but many non-English works are also available. There are multiple affiliated projects that are providing additional content, including regional and language-specific works. Project Gutenberg is also closely affiliated with Distributed Proofreaders, an Internet-based community for proofreading scanned texts. Michael S. Hart began Project Gutenberg in 1971 with the digitization of the United States Declaration of Independence. Hart, a student at the University of Illinois, obtained access to a Xerox Sigma V mainframe computer in the university's Materials Research Lab. Through friendly operators, he received an account with a virtually unlimited amount of computer time; its value at that time has since been variously estimated at $100,000 or $100,000,000. Hart explained he wanted to "give back" this gift by doing something one could consider to be of great value. His initial goal was to make the 10,000 most consulted books available to the public at little or no charge, and to do so by the end of the 20th century. This particular computer was one of the 15 nodes on ARPANET, the computer network that would become the Internet. Hart believed one day the general public would be able to access computers and decided to make works of literature available in electronic form for free. He used a copy of the United States Declaration of Independence in his backpack, and this became the first Project Gutenberg e-text. He named the project after Johannes Gutenberg, the fifteenth century German printer who propelled the movable type printing press revolution. By the mid-1990s, Hart was running Project Gutenberg from Illinois Benedictine College. More volunteers had joined the effort. He manually entered all of the text until 1989 when image scanners and optical character recognition software improved and became more available, making book scanning more feasible. Hart later came to an arrangement with Carnegie Mellon University, which agreed to administer Project Gutenberg's finances. As the volume of e-texts increased, volunteers began to take over the project's day-to-day operations that Hart had run. Starting in 2004, an improved online catalog made Project Gutenberg content easier to browse, access and hyperlink. Project Gutenberg is now hosted by ibiblio at the University of North Carolina at Chapel Hill. Italian volunteer Pietro Di Miceli developed and administered the first Project Gutenberg website and started the development of the Project online Catalog. In his ten years in this role (1994–2004), the Project web pages won a number of awards, often being featured in "best of the Web" listings, and contributing to the project's popularity. Hart died on 6 September 2011 at his home in Urbana, Illinois at the age of 64. In 2000, a non-profit corporation, the Project Gutenberg Literary Archive Foundation, Inc. was chartered in Mississippi, United States to handle the project's legal needs. Donations to it are tax-deductible. Long-time Project Gutenberg volunteer Gregory Newby became the foundation's first CEO. 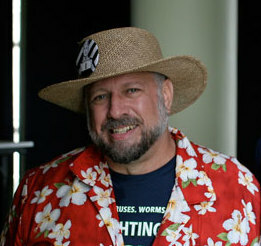 Also in 2000, Charles Franks founded Distributed Proofreaders (DP), which allowed the proofreading of scanned texts to be distributed among many volunteers over the Internet. This effort increased the number and variety of texts being added to Project Gutenberg, as well as making it easier for new volunteers to start contributing. DP became officially affiliated with Project Gutenberg in 2002. As of 2018[update], the 36,000+ DP-contributed books comprised almost two-thirds of the nearly 57,000 books in Project Gutenberg. In August 2003, Project Gutenberg created a CD containing approximately 600 of the "best" e-books from the collection. The CD is available for download as an ISO image. When users are unable to download the CD, they can request to have a copy sent to them, free of charge. In December 2003, a DVD was created containing nearly 10,000 items. At the time, this represented almost the entire collection. In early 2004, the DVD also became available by mail. In July 2007, a new edition of the DVD was released containing over 17,000 books, and in April 2010, a dual-layer DVD was released, containing nearly 30,000 items. The majority of the DVDs, and all of the CDs mailed by the project, were recorded on recordable media by volunteers. However, the new dual layer DVDs were manufactured, as it proved more economical than having volunteers burn them. As of October 2010[update], the project has mailed approximately 40,000 discs. As of 2017, the delivery of free CDs has been discontinued, though the ISO image is still available for download. As of August 2015[update], Project Gutenberg claimed over 57,000 items in its collection, with an average of over 50 new e-books being added each week. These are primarily works of literature from the Western cultural tradition. In addition to literature such as novels, poetry, short stories and drama, Project Gutenberg also has cookbooks, reference works and issues of periodicals. The Project Gutenberg collection also has a few non-text items such as audio files and music-notation files. Most releases are in English, but there are also significant numbers in many other languages. As of April 2016[update], the non-English languages most represented are: French, German, Finnish, Dutch, Italian, and Portuguese. Whenever possible, Gutenberg releases are available in plain text, mainly using US-ASCII character encoding but frequently extended to ISO-8859-1 (needed to represent accented characters in French and Scharfes s in German, for example). Besides being copyright-free, the requirement for a Latin (character set) text version of the release has been a criterion of Michael Hart's since the founding of Project Gutenberg, as he believes this is the format most likely to be readable in the extended future. Out of necessity, this criterion has had to be extended further for the sizable collection of texts in East Asian languages such as Chinese and Japanese now in the collection, where UTF-8 is used instead. Other formats may be released as well when submitted by volunteers. The most common non-ASCII format is HTML, which allows markup and illustrations to be included. Some project members and users have requested more advanced formats, believing them to be much easier to read. But some formats that are not easily editable, such as PDF, are generally not considered to fit in with the goals of Project Gutenberg. Also Project Gutenberg has two options for master formats that can be submitted (from which all other files are generated): customized versions of the Text Encoding Initiative standard (since 2005) and reStructuredText (since 2011). 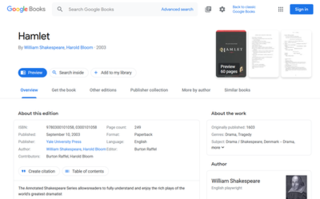 Beginning in 2009, the Project Gutenberg catalog began offering auto-generated alternate file formats, including HTML (when not already provided), EPUB and plucker. Michael Hart said in 2004, "The mission of Project Gutenberg is simple: 'To encourage the creation and distribution of ebooks'". His goal was, "to provide as many e-books in as many formats as possible for the entire world to read in as many languages as possible". Likewise, a project slogan is to "break down the bars of ignorance and illiteracy", because its volunteers aim to continue spreading public literacy and appreciation for the literary heritage just as public libraries began to do in the late 19th century. Project Gutenberg is intentionally decentralized. For example, there is no selection policy dictating what texts to add. Instead, individual volunteers work on what they are interested in, or have available. The Project Gutenberg collection is intended to preserve items for the long term, so they cannot be lost by any one localized accident. In an effort to ensure this, the entire collection is backed-up regularly and mirrored on servers in many different locations. Project Gutenberg is careful to verify the status of its ebooks according to United States copyright law. Material is added to the Project Gutenberg archive only after it has received a copyright clearance, and records of these clearances are saved for future reference. Project Gutenberg does not claim new copyright on titles it publishes. Instead, it encourages their free reproduction and distribution. Most books in the Project Gutenberg collection are distributed as public domain under United States copyright law. There are also a few copyrighted texts, like of science fiction author Cory Doctorow, that Project Gutenberg distributes with permission. These are subject to further restrictions as specified by the copyright holder, although they generally tend to be licensed under Creative Commons. "Project Gutenberg" is a trademark of the organization, and the mark cannot be used in commercial or modified redistributions of public domain texts from the project. There is no legal impediment to the reselling of works in the public domain if all references to Project Gutenberg are removed, but Gutenberg contributors have questioned the appropriateness of directly and commercially reusing content that has been formatted by volunteers. There have been instances of books being stripped of attribution to the project and sold for profit in the Kindle Store and other booksellers, one being the 1906 book Fox Trapping. With the U.S. annual copyright term set to expire in 2019, items published in 1923 will be added to the public domain effective January 1, 2019. As of 28 February 2018[update], Project Gutenberg is no longer accessible within Germany to comply with a court order from S. Fischer Verlag regarding the works of Heinrich Mann, Thomas Mann and Alfred Döblin. Although they were public domain in the United States, the court recognized the infringement of copyrights still active in Germany, and asserted that the Project Gutenberg website was under German jurisdiction because it hosts content in the German language. The text files use the format of plain text encoded in UTF-8 and wrapped at 65–70 characters, with paragraphs separated by a double line break. In recent decades, the resulting relatively bland appearance and the lack of a markup possibility have often been perceived as a drawback of this format. [dubious – discuss] Project Gutenberg attempts to address this by making many texts available in HTML, ePub, and PDF versions as well, but faithful to the mission of offering data that is easy to handle with computer code, plain ASCII text remains the most important format, and the ePub version still contains extra line breaks between paragraphs. In December 1994, Project Gutenberg was criticized by the Text Encoding Initiative for failing to include apparatus (documentation) of the decisions unavoidable in preparing a text, or in some cases, documenting which of several (conflicting) versions of a text has been the one digitized. The selection of works (and editions) available has been determined by popularity, ease of scanning, being out of copyright, and other factors; this would be difficult to avoid in any crowd-sourced project. In March 2004, a new initiative was begun by Michael Hart and John S. Guagliardo to provide low-cost intellectual properties. The initial name for this project was Project Gutenberg 2 (PG II), which created controversy among PG volunteers because of the re-use of the project's trademarked name for a commercial venture. All affiliated projects are independent organizations that share the same ideals and have been given permission to use the Project Gutenberg trademark. They often have a particular national or linguistic focus. Project Gutenberg Australia hosts many texts that are public domain according to Australian copyright law, but still under copyright (or of uncertain status) in the United States, with a focus on Australian writers and books about Australia. Project Gutenberg Consortia Center is an affiliate specializing in collections of collections. These do not have the editorial oversight or consistent formatting of the main Project Gutenberg. Thematic collections, as well as numerous languages, are featured. Projekt Gutenberg-DE claims copyright for its product and limits access to browsable web-versions of its texts. Project Gutenberg Europe is a project run by Project Rastko in Serbia. It aims at being a Project Gutenberg for all of Europe, and started to post its first projects in 2005. It uses the Distributed Proofreaders software to quickly produce etexts. Project Gutenberg Luxembourg publishes mostly, but not exclusively, books that are written in Luxembourgish. Project Gutenberg of the Philippines aims to "make as many books available to as many people as possible, with a special focus on the Philippines and Philippine languages". Project Gutenberg Russia is a project that aims to collect public domain books in Slavic languages, Russian in particular. The discussion of the project and its legal side began in April 2012. The word Rutenberg is a combination of words "Russia" and "Gutenberg". Project Gutenberg Self-Publishing Press, also known as Project Gutenberg Consortia Center. Unlike the Gutenberg Project itself, Project Gutenberg Self-Publishing allows submission of texts never published before, including self-published ebooks. Launched in 2012, also owns the "gutenberg.us" domain. Project Runeberg, for books significant to the culture and history of the Nordic countries. ^ Hart, Michael S. "United States Declaration of Independence by United States". Project Gutenberg. Retrieved 17 February 2007. ^ a b Hart, Michael S. (23 October 2004). "Gutenberg Mission Statement by Michael Hart". Project Gutenberg. Archived from the original on 14 July 2007. Retrieved 15 August 2007. ^ a b c d Thomas, Jeffrey (20 July 2007). "Project Gutenberg Digital Library Seeks To Spur Literacy". U.S. Department of State, Bureau of International Information Programs. Archived from the original on 14 March 2008. Retrieved 20 August 2007. ^ "Project Gutenberg Releases eBook #50,000". Project Gutenberg News. 25 February 2017. Archived from the original on 25 February 2017. ^ "Hobbes' Internet Timeline". Retrieved 17 February 2009. ^ Hart, Michael S. (August 1992). "Gutenberg:The History and Philosophy of Project Gutenberg". Archived from the original on 29 November 2006. Retrieved 5 December 2006. ^ Day, B. H.; Wortman, W. A. (2000). Literature in English: A Guide for Librarians in the Digital Age. Chicago: Association of College and Research Libraries. p. 170. ISBN 0-8389-8081-3. ^ Vara, Vauhini (5 December 2005). "Project Gutenberg Fears No Google". Wall Street Journal. Retrieved 15 August 2007. ^ "Gutenberg:Credits". Project Gutenberg. 8 June 2006. Archived from the original on 11 July 2007. Retrieved 15 August 2007. ^ "Michael_S._Hart". Project Gutenberg. 6 September 2011. Archived from the original on 17 September 2011. Retrieved 25 September 2011. ^ a b Hane, Paula (2004). "Project Gutenberg Progresses". Information Today. 21 (5). Archived from the original on 30 September 2007. Retrieved 20 August 2007. ^ Staff (August 2007). "The Distributed Proofreaders Foundation". Distributed proofreaders. Archived from the original on 21 August 2007. Retrieved 10 August 2007. ^ "The CD and DVD Project". Gutenberg. 24 July 2012. Archived from the original on 5 October 2012. Retrieved 7 October 2012. ^ According to gutindex-2006 Archived 13 November 2012 at the Wayback Machine, there were 1,653 new Project Gutenberg items posted in the first 33 weeks of 2006. This averages out to 50.09 per week. This does not include additions to affiliated projects. ^ For a listing of the categorized books, see: Staff (28 April 2007). "Category:Bookshelf". Project Gutenberg. Archived from the original on 11 July 2007. Retrieved 18 August 2007. ^ "Project Gutenberg Sheet Music | Manchester-by-the-Sea Public Library". Manchesterpl.org. Archived from the original on 14 July 2014. Retrieved 14 July 2014. ^ Various Project Gutenberg FAQs allude to this. See, for example: Staff. "File Formats FAQ". Archived from the original on 2 November 2012. Retrieved 2 November 2012. You can view or edit ASCII text using just about every text editor or viewer in the world. [...] Unicode is steadily gaining ground, with at least some support in every major operating system, but we're nowhere near the point where everyone can just open a text based on Unicode and read and edit it. ^ "The Guide to PGTEI". Project Gutenberg. 12 April 2005. Archived from the original on 18 May 2013. Retrieved 7 February 2013. ^ "The Project Gutenberg RST Manual". Project Gutenberg. 25 November 2010. Archived from the original on 26 January 2013. Retrieved 8 February 2013. ^ "Help on Bibliographic Record". Project Gutenberg. 4 April 2010. Archived from the original on 17 September 2011. Retrieved 3 September 2011. ^ "The Project Gutenberg Weekly Newsletter". Project Gutenberg. 10 December 2003. Archived from the original on 11 May 2011. Retrieved 8 June 2008. ^ Perry, Ruth (2007). "Postscript about the Public Libraries". Modern Language Association. Archived from the original on 9 August 2007. Retrieved 20 August 2007. ^ Lorenzen, Michael (2002). "Deconstructing the Philanthropic Library: The Sociological Reasons Behind Andrew Carnegie's Millions to Libraries". Modern Language Association. Archived from the original on 13 August 2007. Retrieved 20 August 2007. ^ Information Technology and Collection Management for Library User Environments. ^ a b "Amazon charges Kindle users for free Project Gutenberg e-books". Washington Post. Retrieved 3 March 2018. ^ "Court Order to Block Access in Germany". Project Gutenberg Library Archive Foundation. Retrieved 4 March 2018. ^ Boumphrey, Frank (July 2000). "European Literature and Project Gutenberg". Cultivate Interactive. Archived from the original on 14 July 2007. Retrieved 15 August 2007. ^ Michael Sperberg-McQueen, "Textual Criticism and the Text Encoding Initiative", 1994, "Archived copy". Archived from the original on 4 March 2016. Retrieved 28 July 2015. CS1 maint: Archived copy as title (link), retrieved July 25, 2015. ^ Hoffmann, Sebastian (2005). Grammaticalization And English Complex Prepositions: A Corpus-based Study (1st ed.). Routledge. ISBN 0-415-36049-8. OCLC 156424479. ^ Executive director of the World eBook Library. ^ Staff (17 July 2007). "Gutenberg:Partners, Affiliates and Resources". Project Gutenberg. Archived from the original on 26 September 2007. Retrieved 20 August 2007. ^ Staff (24 January 2007). "Project Gutenberg of Australia". Archived from the original on 14 August 2006. Retrieved 10 August 2006. ^ "Project Gutenberg Canada". Archived from the original on 18 January 2016. Retrieved 20 August 2007. ^ Staff (2004). "Project Gutenberg Consortia Center". Archived from the original on 9 August 2007. Retrieved 20 August 2007. ^ Staff (1994). "Projekt Gutenberg-DE". Spiegel Online. Archived from the original on 30 June 2007. Retrieved 20 August 2007. ^ Staff (2005). "Project Gutenberg Europe". EUnet Yugoslavia. Archived from the original on 20 August 2007. Retrieved 20 August 2007. ^ Kirps, Jos (22 May 2007). "Project Gutenberg Luxembourg". Archived from the original on 29 September 2007. Retrieved 20 August 2007. ^ Riikonen, Tapio (28 February 2005). "Projekti Lönnrot". Archived from the original on 10 August 2007. Retrieved 20 August 2007. ^ Staff. "Project Gutenberg of the Philippines". Archived from the original on 24 August 2007. Retrieved 20 August 2007. ^ "Project Gutenberg Russia". Archived from the original on 24 May 2012. Retrieved 5 April 2012. ^ a b "Partners, Affiliates and Resources". Archived from the original on 13 November 2012. Retrieved 27 February 2016. ^ "Project Gutenberg Self-Publishing Press". Archived from the original on 2 March 2016. Retrieved 27 February 2016. ^ "Project Gutenberg launches self-publishing library". RT Book Reviews. Retrieved 27 February 2016. ^ "Domain Availability - Registration Information". GoDaddy. Archived from the original on 3 March 2016. Retrieved 27 February 2016. ^ Staff. "Project Gutenberg of Taiwan". Archived from the original on 11 May 2011. Retrieved 5 April 2009. Project Gutenberg News – Official News for Gutenberg.org. Includes the Newsletter Archives, 1989–Present. Michael Stern Hart was an American author, best known as the inventor of the e-book and the founder of Project Gutenberg (PG), the first project to make e-books freely available via the Internet. He published e-books years before the Internet existed via the ARPANET, and later on BBS networks and Gopher servers. Distributed Proofreaders is a web-based project that supports the development of e-texts for Project Gutenberg by allowing many people to work together in proofreading drafts of e-texts for errors. By July 2015, over 30,000 texts had been digitized. The Mutopia Project is a volunteer-run effort to create a library of free content sheet music, in a way similar to Project Gutenberg's library of public domain books. It started in 2000. The World English Bible is a free updated revision of the American Standard Version (1901). It is one of the few public domain, present-day English translations of the entire Bible, and it is freely distributed to the public using electronic formats. The Bible was created by volunteers using the ASV as the base text as part of the ebible.org project through Rainbow Missions, Inc., a Colorado nonprofit corporation. Project Rastko — Internet Library of Serb Culture is a non-profit and non-governmental publishing, cultural and educational project dedicated to Serb and Serb-related arts and humanities. It is named after Rastko Nemanjić. Wikibooks is a wiki-based Wikimedia project hosted by the Wikimedia Foundation for the creation of free content e-book textbooks and annotated texts that anyone can edit. Wikisource is an online digital library of free content textual sources on a wiki, operated by the Wikimedia Foundation. Wikisource is the name of the project as a whole and the name for each instance of that project ; multiple Wikisources make up the overall project of Wikisource. The project's aims are to host all forms of free text, in many languages, and translations. Originally conceived as an archive to store useful or important historical texts, it has expanded to become a general-content library. The project officially began in November 24, 2003 under the name Project Sourceberg, a play on the famous Project Gutenberg. The name Wikisource was adopted later that year and it received its own domain name seven months later. A Short Biographical Dictionary of English Literature is a collection of biographies of writers by John William Cousin (1849–1910), published in 1910. Most of the entries consist of only one paragraph but some entries, like William Shakespeare's, are quite lengthy. LibriVox is a group of worldwide volunteers who read and record public domain texts creating free public domain audiobooks for download from their website and other digital library hosting sites on the internet. It was founded in 2005 by Hugh McGuire to provide "Acoustical liberation of books in the public domain" and the LibriVox objective is "To make all books in the public domain available, for free, in audio format on the internet". An electronic book, also known as an e-book or eBook, is a book publication made available in digital form, consisting of text, images, or both, readable on the flat-panel display of computers or other electronic devices. Although sometimes defined as "an electronic version of a printed book", some e-books exist without a printed equivalent. E-books can be read on dedicated e-reader devices, but also on any computer device that features a controllable viewing screen, including desktop computers, laptops, tablets and smartphones.